Did you know that French is the only language, other than English, to be spoken on all 5 continents? Open your children’s world by introducing them to the French language and culture. Our kids program follows a structured curriculum and children will enjoy learning French through playful and educational activities, songs, stories and creative projects. Your child will learn basic words in French, based on different themes (colors, animals, clothing and food). Your child will learn through play, songs, repetition and weekly art projects. (One parent or caregiver is welcomed to attend the class with their child(ren)). Your child will learn basic words and grammar points in French, based on different themes (colors, animals, clothing, family and food). Your child with learn through play, hands-on activities and songs. Parents will be invited to a little French performance at the end of the session. 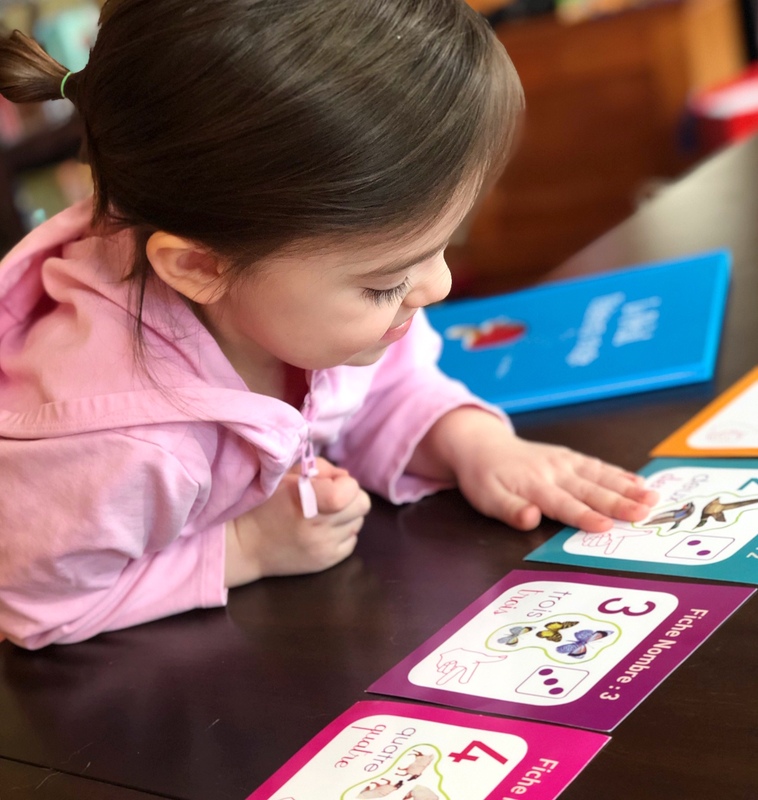 Your child will learn French through games and hands-on activities. This class will also include some writing. The themes will get more complex depending on the level of your child.